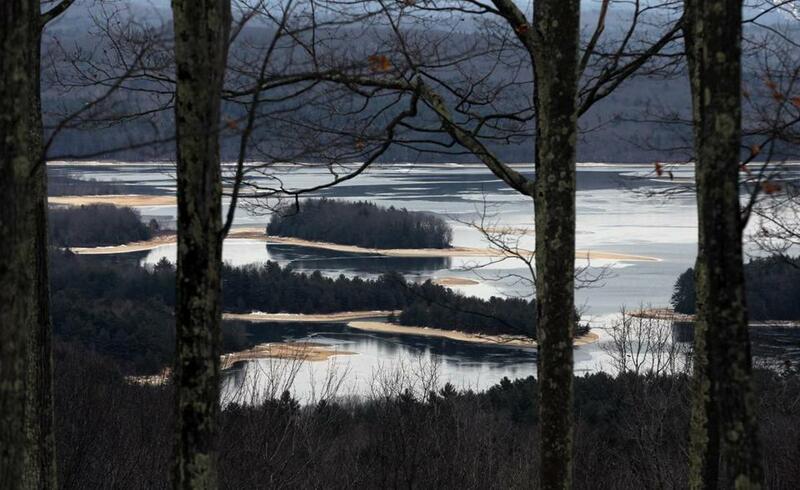 The Quabbin Reservoir viewed from an overlook in New Salem. These snakes are going nowhere. To ease the concerns of residents who are reeling over a state proposal to plop an endangered species of venomous rattlesnake on a remote island on the Quabbin Reservoir, environmental officials said this week that small radio transmitters would be implanted in each of the reptiles introduced to their new habitat during the first 10 years of the project. That way, if one of the timber rattlesnakes were to make the daring dash across the water to the mainland, snake experts could track it down. “If we had a wayward snake, we would go out and get it and bring it right back,” said Tom French, assistant director of the Massachusetts Division of Fisheries and Wildlife. Earlier this month, the state rolled out its plan to breed and raise timber rattlesnakes and then turn them loose on Mount Zion, a 1,350-acre island in the reservoir that’s off limits to people. A state plan to let 150 rattlesnakes loose on an island in the Quabbin Reservoir will likely stir debate during a meeting Tuesday night. The state plans to add one to 10 snakes to the island every year for the next decade. French led a public hearing about the proposal that was attended by 300 people at the R.C. Mahar Regional High School in Orange on Tuesday night. The pitch was met by mixed reviews, French said, with some people fearing the predators could cross the water, putting people and animals at risk. Plus, French said, timber rattlesnakes are creatures of habit. Once they establish their hibernation spot in the cracks and crevices of a boulder field on the island, they will stick to it for their lifespan. 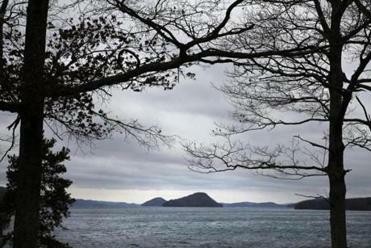 If a snake were to leave the island, it would likely die come winter without a home. “The boulder field is the unique piece of habitat that they are all going to depend on,” said French. To implant the transmitters, each snake would need to be surgically opened up by the head veterinarian of the Roger Williams Park Zoo, in Rhode Island, which is assisting the state with the project. Each device would have a limited battery life. At the two-year mark, before the batteries die, the snake would have to be retrieved by state officials, brought back to the zoo, and fitted with a new transmitter. Because a snake can’t undergo more than three surgeries in its lifetime, French said, a snake’s transmitter would only be replaced once. In a third surgery, it would be removed for good. The practice is standard operating procedure for snake studies. It’s not some experiment being tried with timber rattlesnakes; it’s a proven method, French said. Experts would be able to locate the snakes only during visits to the island using handheld trackers. The trackers would beep, louder and louder, as a person holding it got closer to a radio-implanted snake. French said officials would be making stops at Mount Zion at least once, and possibly up to eight times, a month. French said the tracking, while it will provide safety benefits, was really intended for research. The transmitters will enable researchers to document the areas where snakes are spending most of their time and hibernating. “If you start seeing them using the same rock for basking, then you know that’s a place that we could improve for them by knocking a tree or two down and making it sunnier,” he said. And if the transmitters fail? Well, there’s always a backup plan: bald eagles. “A rattlesnake trying to cross that water would be a sitting duck. They would eat it. They would pluck it right off the top of the water,” said French.